Foundation Phase: Usually young with a long time horizon and building a base of marketable skills or a business. Accumulation Phase: Earnings increase and gradually reach a peak in this phase. As a result, assets/savings tend to increase. Although, expenses can also increase in this phase. Maintenance Phase: Later years in life and usually retired. Risk tolerance tends to decline in this phase. Distribution Phase: Accumulated wealth is transferred and tax considerations increase. Cautious Investors are averse to losses and seek financial security. Methodical Investors are fact seeking generally conservative investors. Spontaneous Investors are quick to make decisions and have higher portfolio turnover. Individualist Investors are self-researchers and have confidence in their long-term decisions. Accrual Equivalent Returns can help measure tax drag (uses CAGR) and is always below the taxable return. This helps to show the power of tax deferrals. Asset Location is the process of picking optimal accounts for assets. Tax Loss Harvesting has a minimal impact but compounds. Taxing authorities share investment risk and as a result, can lower investment risk. Probate is the legal process of determining a wills validity to properly distribute an estate. Intestate occurs when someone dies without a will. A court determines how to distribute the assets in the probate process. A Testator is the creator of a will. Some jurisdictions allow assets to have Joint Ownership with Right of Survivorship. Civil Law is most common throughout the world and judges apply general rules or concepts to specific cases. In Common Law, judges draw abstract rules from specific cases. Civil vs. common is similar to deductive and inductive reasoning. Shari’a Law is the law of Islam and can be factored into a will as long as it doesn’t conflict with the law of the land. Forced Heirship Rules give children the right to a portion of the parent’s estate and is more common in civil law. Community Property Regimes give each spouse a half interest in earned income during marriage. When Lifetime Gratuitous Transfers (inter vivos) occur upon one’s death, they’re referred to as testamentary gratuitous transfers (bequests). Human Capital (Net Employment Capital) is the present value of a person’s future total employment. Core Capital is the amount required to fund spending for a person’s lifestyle. Generation Skipping can be a useful but some jurisdictions like the U.S. impose additional generation skipping transfer tax. Revocable Trusts allow the settlor (grantor) to reverse the trust contributions. Irrevocable Trusts don’t allow revoking the trust relationship. Controlled Foreign Corporations (CFCs) are located outside a taxpayers’ home country and can be useful for lower taxes. Although, some countries can treat undistributed earnings as Deemed Distributions to collect taxes. Hague Conference on Private International Law is an organization that’s trying to converge private international law. It has 69 members that consist of countries and regional economic integration organizations. There are over 2,000 international tax treaties to facilitate trade and eliminate double taxation. Most all of the treaties are based on the Organization for Economic Co-operation and Development (OECD) Model Treaty. Tax Avoidance is legal and Tax Evasion is illegal. Estate Tax Freezes are used to transfer future appreciation to heirs to lower or eliminate gift or estate tax. One example is the old generation exchanges (recapitalizes) their stock for preferred voting and common shares. They then retain the preferred voting shares (100% value of the business) and gift the common stock to the next generation which will accumulate value. Strategic Buyers might place a higher value on companies than Financial Buyers. Short Sales Against the Box allow security owners to monetize their position by creating a combined risk-free position that should earn the money market rate of return. Owning and shorting the same security allows for a high Loan to Value (LTV) ratio. Total Return Equity Swap is an exchange of an assets returns for specified fixed or floating payments. Forward Conversion with Options: If an investor owns shares, buy puts and sell calls at the same strike price to lock in the future sale. This allows for a high LTV ratio. Equity Forward Sale Contracts allow for private customized future sales. Prepaid Variable Forwards (loan and collar combined into a single instrument) can be used as an off-the-balance sheet security that’s not subject to margin rules. When hedging with different instruments it’s vital to factor in the different tax rates… be aware of tax inefficiency stemming from Mismatch in Character. Cross Hedging uses substitute derivatives with a high correlation. Employee Stock Ownership Plans (ESOP) can be used to sell a business shares to workers through certain pension plans. Donor-Advised Funds (DAF) allow tax free growth until grants are made. Sale and Leaseback is a common real-estate transaction. Economic Balance Sheets (Holistic Balance Sheets) factor in both Human Capital and Financial Capital. Net Wealth expands upon Net Worth to include human capital and present value of pension benefits. Temporary Life Insurance (Term Life Insurance) provides life insurance for a set time period. Permanent Life Insurance provides lifetime coverage and there are two common types: Whole Life Insurance and Universal Life Insurance. “Riders” can be added to the policy to mitigate risk. Net Premiums show the discounted value of the future death benefit. The Gross Premium is the net premium plus a load for fees and profits for the insurance company. Annuities can offer tax-deferred growth depending on the country and can be customized. 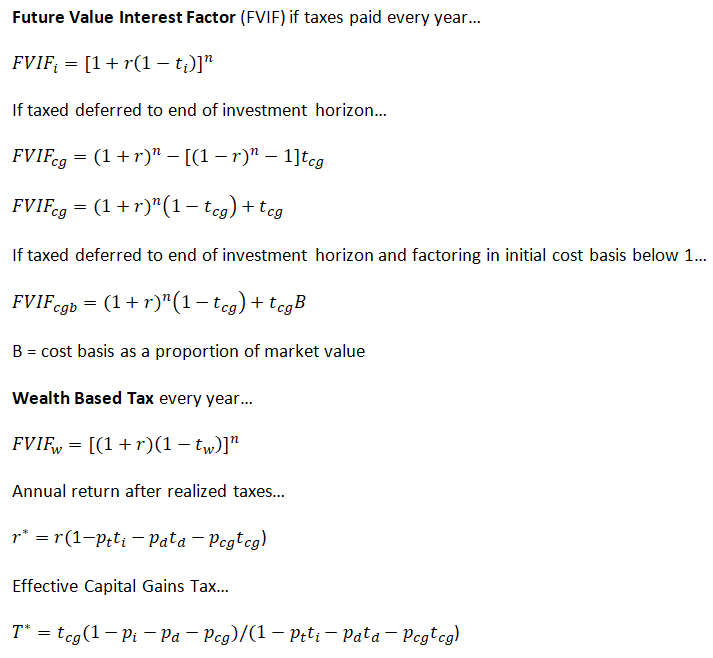 For example, they can be deferred vs. immediate and fixed vs. variable. Period-Certain Annuities have a set number of payouts without regard to lifespan. Please comment below if you have any suggestions or questions. Also, the next category in my CFA level 3 study list is Institutional Investors.